On the DCOM Data Centre Operations Management Course you will learn the best practices for the Management and Operation of a data centre. 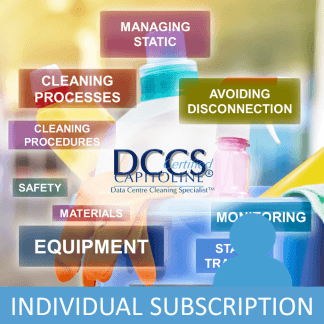 We teach you exactly which documentation, policies and procedures you should have to ensure your facility runs smoothly. It includes everything in EN50600-3-1, the only data centre standard to properly discuss operations and management and much more. Learn from the mistakes of others. The Data Centre Operations Management Course includes practical experience derived from auditing 100s of data centres across the world. This was the first ever data centre operations management course. It is still unique in the industry. Others have similar titles but are lacking in content. 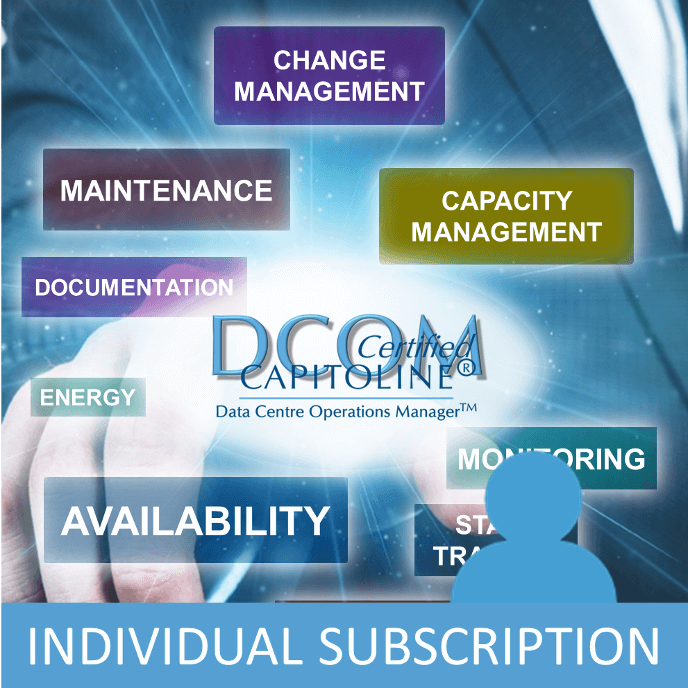 On the DCOM Data Centre Operations Management Course you will learn how to manage your data centre with improved availability and reduced cost. This comprehensive Data Centre Operations Management Course will show you how to manage your data centre to improve reliability and security and maximise energy efficiency. Many of the most common and catastrophic data centre failures are caused by the lack of simple procedures. We show you the critical “must have” processes that help you to avoid the common failures. Often Data Centre Managers only experience a few facilities in their career. Our instructors see new facilities every month. If you have a question they will have the answer. The DCOM Data Centre Operations Management course is packed with information to help you to understand energy efficiency, capacity management and many other topics. If you want to just read the slides then try one of our competitors. If you want a real learning experience come to us. 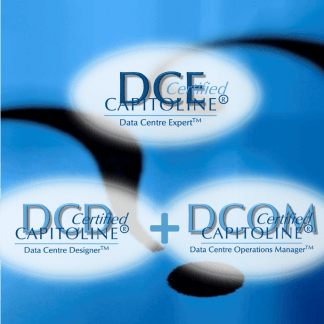 Access to online Data Centre Operations Management Course is provided by subscription. When you book on the classroom Data Centre Operations Management Course you will also be given access to the Online Course Subscription for one year. Access will be granted on receipt by Capitoline of your payment (Note: If booking through a 3rd party this may be later than your payment to them). Attendees of the classroom course will also receive a searchable personal electronic copy of the course material. How long until my room overheats if all or part of the cooling fails? How to calculate DCiE, PUE and UPS efficiency! Is this 3 phase load balanced? If not how do we balance it? If you complete this course and pass the exam you will be awarded a certificate and the right to use the DCOM logo and the DCOM designation after your name whilst your certificate is valid. The certificate will expire three years from the date of issue of the certificate. In order to renew certification it will normally be necessary to pay for and take a renewal examination and to be subscribed to the appropriate course. Near the end of your certificate expiry we will send a reminder to your registered email address to explain the process.